Can cessationist pray Eph. 1:17? Natural revelation (creation, logic, science, etc). Special revelation (God’s speaking, theophanic appearances, etc). (3*) God would give a spirit of wisdom and Jesus in the knowledge of him. Technically, that’s true. And that’s not a bad way to pray. But from our perspective I’m not sure that adds too much to the discussion. What does it mean to have a spirit of Jesus? Well, basic Sunday School lessons could work here, and the Bible elsewhere commends the Spirit of Christ. But if revelation = Jesus, then what content does that add to our knowledge? It’s not immediately clear. And I don’t think that’s what cessationists have in mind when they say “revelation.” Sure, they will quote Hebrews 1, thinking revelation ceased with the coming of Christ, but that only proves that Jesus is the final word, not the Bible. (2a*) God will give you a spirit of the closed canon of Scripture. It’s not immediately wrong, but it’s clunky and almost certainly not what Paul had in mind. (1) Is the Apocrypha inspired/part of the Bible? The church’s witness in history isn’t entirely clear. Augustine and others use the Wisdom of Solomon and if ever a book deserved to be in Scripture, that would be one of them. Yet, when we read early fathers’ accounts of the canon, the modern day Apocryphal books are either missing or not all are accounted for. The problem is further exacerbated on how to identify the “Ezras” listed by the fathers (it could either mean Ezra and Nehemiah or Ezra, Nehemiah, 1 and 2 Esdras). But that’s not my issue because that’s not how I view Scripture. I can accept Scripture in some sense as an angled mirror to God’s revelation, but not as God’s revelation full stop. In other words, God’s revelation isn’t univocal. (2) The Apocrypha is not God’s revelation. But can the Apocrypha be a witness to God’s revelation? Perhaps, but then it is on a case-by-case basis. Let’s look at Sirach and Maccabees. Towards the end of the book Sirach is echoing the Jewish hope and story of King and Temple. They are both interconnected. And the world’s peace depends on them. But when the Temple is cleansed/disclosed to the world, it is not the Davidic Messiah but the High Priest. And in any case, all of this was wiped away with the Roman invasions after 200 BC. So while Sirach captures some part of the Jewish narrative, it is utterly anti-climactic in witnessing to the Messiah. As history Maccabees, at least 1 and 2, are supremely important. When Judas cleanses the temple and drives out the pagans, what happens with the temple? Nothing. Drawing upon sources like 1 Kings 8 and Ezekiel, the Temple, Monarch, and Shekinah glory are inter-connected. Touch one and you touch all (there is some divine simplicity, for you!). This doesn’t happen with Maccabees victory. So what does all this mean? 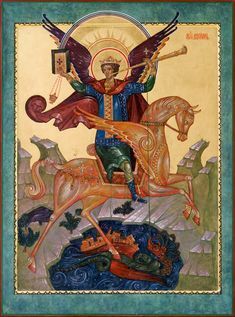 The Apocrypha is very important for history, but in terms of witnessing to the divine revelation, especially in terms of eschatology, it is anti-climactic. 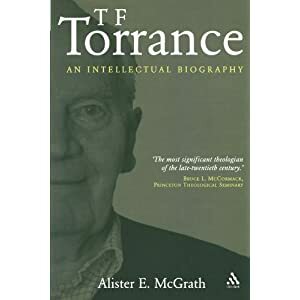 This book is divided into two parts: a brief treatment of Torrance’s life and an examination of his thought. His parents were missionaries to China and fostered a deep piety and evangelistic zeal in the young Torrance. Torrance grew up reading the bible through each year. His dad could repeat the Psalms and Romans by heart. Of particular interest is Torrance’s lectureships in America, ironically at liberal institutions. They were not ready for his evangelistic style of lecturing. Auburn Theological Seminary (largely liberal) invited a 25 year old Thomas Torrance to guest lecture. He ended up evangelizing his students on the deity of Christ. He was invited to teach at Princeton University but they told him it was to be a neutral atmosphere and that he shouldn’t get involved with the students religious beliefs. Torrance: I make no such promises. He was hired nonetheless. McGrath skillfully makes use of unpublished mss and shows us a very interesting side of Torrance. Torrance’s life often borders on a heroism found in novels. Was Torrance a “Barthian?” No. As he made powerfully clear to Donald Macleod he was an “Athanasian” before he was a Barthian. Nevertheless, Torrance’s legacy is connected with Barth’s. 2. Entire outlook affected but withheld ultimate approval. 3. real but cautious admirers. 4. Uncritical admirers (Alec Cheyne, “The Baillie Brothers,” in Fergusson, Church and Society, 3-37, 33, quoted in McGrath, 89). McGrath notes that Barth wasn’t well-received in the Scandinavian Lutheran countries, given Barth’s firm commitment to Reformed Christology. Barth took longer to make headroads into Anglican because, as McGrath ruefully muses, Anglicanism didn’t have much of a dogmatic center (McGrath 122-123). This was not the case in Presbyterian Scotland, which in many ways was a dogmatic center! 1. Competent translations of the most important works into the new language. 2. A journal dedicated to sympathetic viewpoints. 3. A publishing house which is prepared to handle primary and secondary material. 4. A platform where a rising generation may be influenced. Torrance’s thought is a Reformed reworking of Athanasius’s insight that the homoousion–the oneness of being between Father and Son–means a oneness of Being-in-Act in God’s saving and revealing himself to us. The doctrine of the Trinity is an outcome of an intellectual engagement with God kata physin. “The nature of God was disclosed to be such that Trinitarian thinking was the only appropriate response to the reality thus encountered” (161). Scientific realism allows direct correlations between self-revelation of God and God himself. McGrath breaks new ground in shedding light on a key tension in Torrance’s so-called “Barthianism.” Can there be a positive relation between God’s self-revelation and a bare natural theology? Maybe. Problem: If all theology proceeds from God’s self-revelation in Christ, then where can natural theology fit (185)? Early Torrance: “revelation is an act in which God confronts us with his person, in which he imparts himself” (Torrance, Christian Doctrine of Revelation, 32, Auburn lectures). If this is the case, how can man “reason upwards to God?” Again, and as always, the solution is found in Athanasius. Knowledge of God and knowledge of the world share the same foundations in the rationality of God the creator. 1. God is in possession of an intrinsic rationality–the divine logos. 2. That logos has become incarnate in Jesus Christ, so that Christology becomes the key to accessing the inner rationality of God. 3. the divine rationality is also seen in the created order, in which the divine logos can be discerned at work in the contingent yet ordered nature of the world. 4. Creation (1-3) makes natural theology possible. What do continuationists such as myself make of this quote? Has Owen powerfully refuted me? Well, only if we are clear about what we mean by “agree” and “contradict.” Let’s begin with the second half of Owen’s quote. First of all, what is a contradiction? A contradiction is when one says A = ~A. For example, the Bible says don’t murder but I got a private revelation from God saying it’s cool. That is a contradiction and Owen’s quote holds good in this case. However, in symbolic logic the proposition A ∧ B is not a contradiction. It is a conjunction. (1) If private revelations agree with Scripture, they are unnecessary. (2) God speaks in natural revelation (Ps. 19:1-2). Whatever else (2) means, it certainly means that there exists a realm of objective knowledge in creation to which we have intellectual access. (1) and (2) do not contradict. (1*) and (2) do contradict, but since the latter is in the bible and the former is not, then (1*) is certainly wrong and we can reject it. (1′) Scripture is the final moment of God’s special revelation, the final moment of God’s speaking-revelation. Now we are getting somewhere. (1′) does present a challenge if it obtains. Is it correct? Only if the term “Revelation” is being used univocally. Continuationists have never claimed that Revelation is univocal. Perhaps they are exegetically wrong for thinking that, but that’s a different subject altogether. Owen’s modified claim (1′) only obtains if everyone is using Revelation univocally. But we can ask if the cessationist is consistent in his use of Revelation. (1′) seemed to imply that the Bible was the final moment of God’s speaking-revelation. But what does the Bible say? “In many and various ways God spoke to the prophets but in these last days he spoke to us by his Son” (Heb. 1:1). (3) Jesus is the final speaking-moment of God’s revelation. (3a) If Jesus is the final moment of Revelation, which would seem to rule out modern-day prophets, then Jesus, revealing God before the writing of the New Testament, would also rule out the New Testament. Averky saw our age as Age of Apostasy, as “the final preparation for the ‘man of sin’” (Rose 19). “As history proceeds to the end, the meaning of some of these symbols will become clearer” (Rose 31). 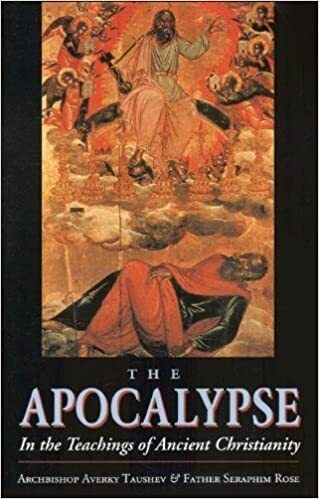 “The most correct commentary is the one that unites all these approaches, keeping in mind, as the ancient commentators and Fathers of the church clearly taught, the content of the Apocalypse in its sum is indeed directed to the last part of the history of the world (Averky 54). Averky stood in the tradition of the fathers and passed down the faith. This is a reliable, if sometimes lightweight, commentary on the Apocalypse. He helpfully summarizes each section and offers Scripture parallels at the end of each chapter. Possible Criticisms (It might seem like I offer a lot of criticisms, but this shouldn’t take away from the book’s inestimable value). *We see numerous references and exhortations that we seek out the “commentaries of the Holy Fathers” (Rose 27) to avoid Protestant errors, but besides Andrew of Caesarea we are almost never given any specific references. Averky does list some Russian-language resources (Averky 39-40). *As a general rule, Averky doesn’t engage in exegesis (neither did St Andrew, for the most part). *Averky says Protestants deny the necessity of good deeds for final salvation (201, Comm. 14:13). This is not true, nor is it clear exactly whom he has in mind. Classical Protestantism denies good deeds as the grounds or foundation of our salvation. We affirm good deeds as necessary for the final telos of our salvation. We can even say that good deeds are the final cause of our salvation, just not the material, efficient, or instrumental causes. *Averky sees the thousand-year period as Christianity’s victory over paganism. The only problem with this interpretation is that the opening phrase of Revelation 20 sees it sequential with the events of Revelation 19. Averky says that the Illuminati held to chiliasm (256). He criticizes Chiliast belief but doesn’t seem to take into account that premillennialists get their teaching from the passage itself, which does say two resurrections (however that term is glossed). He says that Chiliasm teaches two or three comings of Christ, but this isn’t necessarily true. A premillennialist can quite logically hold to the following timeline: 1st coming in humility, 2nd coming following the slaying of Antichrist with the breath of His mouth, the raising of the pious dead while the impious sleep, and then a final resurrection. But note that the final stage of the resurrection doesn’t logically demand another coming. The problem with identifying Chiliasm with modern historic premillennialism is that the latter doesn’t see an ending to the millennial kingdom. It simply states, with Scripture, that Christ hands this kingdom over to the Father (1 Cor. 15:24). *His argument in the appendix “Neo-Chiliasm” threatens to come undone. He begins with a fine critique of Ecumenism, but he errs in saying that “Neo-Chiliasts” want to have this world and do not like Scripture’s warning of its destruction. Well, modern ecumenists probably don’t like passages about the world’s destruction, but they probably don’t like any passage from the Bible. The modern premillennialist, however, sees that God will create a new heavens and a new earth, so we are not warranted in seeing a complete destruction of the earth. Normally “chiliasts” are incorrectly lumped with premillennialists, who are quite conservative and anti-liberal. Yet most of his criticisms seemed aimed at the unbelievers in the World Council of Churches. In any case he never identifies who these “Neo-Chiliasts” are. St Andrew of Caesarea’s commentary on the Apocalypse is the first substantial Eastern reflection on the Apocalypse as a whole. Earlier saints like Methodios and Cyril of Jerusalem gave pointed exhortations, and Andrew is in line with their conclusions. What makes Andrew’s work important in the history of Christian thought is a) he is working independently of Augustine’s City of God and b) he is the first to offer a non-premillennial stance on Revelation 20. True, earlier writers had rejected premillennialism, but few gave a systematic analysis of Revelation 20. Below are my notes on Andrew. I skipped some of his comments simply because they restated the passage and so on. I am not necessarily endorsing Andrew’s comments. My own review will follow later. Andrew probably wrote around 610, just before the Islamic invasions. He could not have written before 564, since the lists of bishops of Caesarea is complete (until then) and he isn’t mentioned. Nota bene: unless otherwise pointing out specific passages (e.g., Comm. 1:1), page numbers will refer to the pagination of the volume in the Ancient Christian Texts series. The Spirit inspired the text in a “tripartite manner according to the tripartite structure of man” (Introduction, xxvi, 116). The body of scripture/story is the literal meaning, sense-referent. spirit = anagogical meaning of “higher things to come,” the kingdom of God. Andrew further divides Revelation into “24” books corresponding to the 24 elders. 1:1. Christ receives revelation according to his humanity. According to his deity he is the revealer. 1:4. The seven churches is the church everywhere. “Seven” is the period of the Sabbath rest of the coming Age. The seven spirits could be “the energies of the Holy Spirit,” but Andrew isn’t dogmatic on this point. It is interesting, though, that a Christian thinker is using “energies” long before Palamas. 1:7. The “clouds” are either incorporeal powers or something similar to the Taboric glory-clouds. 1:12-13. Spiritual hearing and spiritual seeing are the same thing. His eyes as “flames of fire” enlighten the saints and burn the defiled. This isn’t the same as what St Gregory Palamas says. Palamas (correctly) says we see the divine/spiritual glory/light with our bodily eyes. 2.1. He sees the possibility, following Epiphanius and Irenaeus, that the seven stars (angels) reveal the arrangement of the spiritual orders in the seven intelligent heavens that are in the right hand of Christ. 2:7. Only spiritual people have spiritual ears (cf. Isaiah 50:4). We “conquer” in our struggle against demons and share in the blessings of the future age. 2:16. The “hidden manna” is the Bread of Life, who is Jesus (Eucharist). 2.28-29. The Lion from Judah is Christ. The Lion from Bashan is the devil. See also Psalm 22. 3.1. Without getting into Filioquist debates, Andrew argues that since Christ is homousios, he supplies the Spirit. 3:7. Andrew identifies the “key of David” with Jesus’s kingdom. Further, the Holy Spirit is the key of the book of the Psalms and every prophecy. 3:9. Jews falling at their feet means their conversion and enlightenment. 3:20. Interestingly, he sees Christ’s knocking as knocking on the door of the heart for salvation. 4:1. The opening of the door represents the revelation of the hidden mysteries of the Spirit. 4:5-6. “spirits” probably represent energies of the life-giving Spirit. “Sea of glass” signifies the multitude of the holy powers and utter quiet of the life to come. Irenaeus says the nature of heaven is like crystal. 5:1. The book with seven seals is the all-wise memory of God (Ps. 139.16). The “seven” could refer to the economies of Christ. 5:7-8. The bowls are symbolic of the pure thoughts from which the incense (lives/prayers of the saints) arises. 6:1. The “first living creature, the Lion” symbolizes the royal intention of the apostles against the demons. 6:2.The loosing of the first seal is the generation of the apostles. They stretch forth like a bow, the Gospel message against demons. 6:3. The second creature is the bull, which represents the sacrifices of the martyrs. 6:4. The second seal is the succession of the apostles fulfilled through the martyrs and teachers, which takes away peace from the earth. 6:5-6. Black horse depicts the sorrow that comes on those who have fallen away from faith in Christ on account of torments. The command “do not harm wine and oil” indicates that it is the healing of Christ through repentance ought not to be rejected. 6:7-8. Andrew thinks these events happened in 312, as recorded by Eusebius. 6:12-13. Represents the transition from the times of persecution to the time before the arrival of the false Christ. Andrew notes that terms like “earthquakes” often signifies changes of things. 6:14. The heavens rolled like a scroll symbolizes that heaven does not disappear but changes into something better. The rolling out of a scroll “effects” the appearance of that which is written within. 6:14-17. The mountains figuratively represent “great men” in church and state. 7:1. The holding back of the winds represents the dissolution of the good order and the inevitability of evil. 7:4-8. The omission of Dan means that Antichrist will come from Dan. 7 seals = future events, not Christ’s incarnation (he follows Methodios on this point). 8:7. Angel blows trumpet, ⅓ burned up. Symbolizes not sufferings of Gehenna but future trials of war. 8:8-9. The ⅓ symbolizes those who are being punished are more than those who are being saved. The “great mountain” is the Devil. 8:10-11. The star Wormwood could be the Devil (Is. 14:12). 9:7-9. Locusts = evil demons. 9:13-16. Andrew thinks the four angels are the most evil of the demons. Andrew notes that demons are often tied to places (148). He suggests that Antichrist might come from this area. 11:1-2. Antichrist will persecute the church for 3 ½ years. 11:11-13. The earthquake is a mental symbol for the transposition of tottering things to things more firm. 12:1. Andrew says the Woman is the Church. Methodios does not think the child is the Christ. 12:5. Through those who are baptized the church is always giving birth to Christ, since in them he is being formed to the fullness of spiritual maturity in believers (Eph. 4:13). 12:15-16. The demonic water is the host of demons and ungodly men. The earth is the wilderness places for the church to hide. 13:1. The beast of the sea is Antichrist. Oecumenius thought he was a demon. He will come as king of the Romans. 13:11. The beast from the earth is the false prophet. So Irenaeus. The “healing of the wound” could be the short-lived unity of the Empire or the temporary restoration of Antichrist. 13:14-17. Demons can make wonders appear. Those who have their faces sealed with divine light need not fear the mark of the Beast. 14:11. The mark of the beast is to proclaim Antichrist as God both in Word (head) and Deed (hand). 16:12. Gog and Magog will arise from the region of the Scythians. Andrew also suggests that the Euphrates River might dry up to allow military passage. 16:15-16. Andrew doesn’t seem as interested in speculating on Armageddon as moderns are. 16:19. Andrew suggests Jerusalem is divided into three parts for Christians, Jews, and Samaritans. His comments assume the Byzantine Emperors making the Jews hide their impious works. Unless Vladimir Putin or al-Assad takes over Jerusalem, it’s hard to see how this interpretation works today. 16:20. Islands = churches and mountains = leaders of the churches. 17:1. He rejects that Rome = literal city, but probably equals Antichrist’s domain. He knows that for this interpretation to hold, the current Byzantine model must fall. 17:6-7. He examines how Babylon is used throughout Scripture (sometimes referring to one city, sometimes another). He sees it as a type of Antichrist. 17:10. The seven kings, five of whom are fallen Andrew reads as referring to “ages,” thus following Hippolytus et al. The sixth kingdom is Old Rome. He says the Seventh Kingdom has not yet come, which means that the line of the Constantines falls under the 6th Rome. 17:11. Antichrist will be the 8th Kingdom. 20:1-3. The destruction of Satan occurred at Christ’s Passion. Andrew rejects a literal 1,000 years (189). He says it is the time of the Incarnation until the “arrival” of Antichrist. Interestingly, this is not a pure amillennialism, for Andrew does not see it as synonymous with the whole church age. Weinrich in a footnote (189 n22) links this position with Augustine and the West, but this is not entirely the case. 20:4. The teaching thrones were given to the holy apostles who enlightened the nations. He connects these enlighteners with martyrs primarily, but also including pious kings (190). Indeed, the kings demonstrate their power against demonic activity. 20:5-6. Scripture teaches two livings and two dyings. 20:7-8. The thousand-year period is the preaching of the gospel. Andrew rejects the idea that Gog/Magog = the Scythians (192). They will be revealed in the future. 21:7. We currently struggle in an invisible war against demons.